Outstanding food in the Cuban-Mexican restaurant and generous breakfasts served until 11 a.m.
CasaSandra’s charismatic owner, music producer and artist Sandra Perez, originally hails from Cuba. 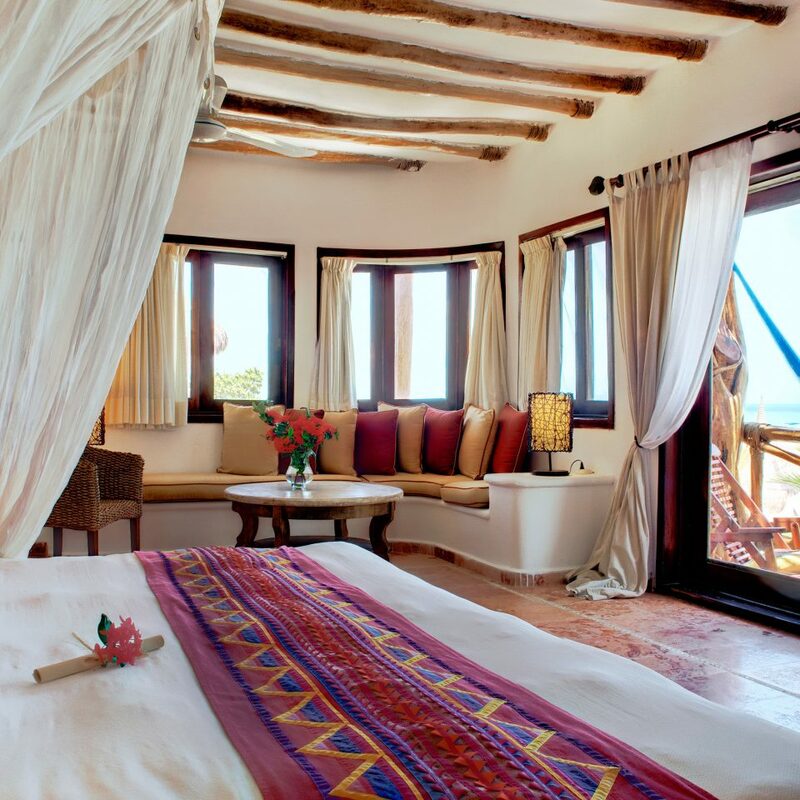 She has carefully curated the common areas, guestrooms and suites to showcase Mexican crafts and art. The original artwork is (mostly) for sale. Antiques come from Guadalajara or Cuba; much of the furniture is rattan. At night, common areas are lit with candles and star lights, and pathways are lined with torches. Overall there’s a sophisticated boho vibe, all effortless barefoot style. 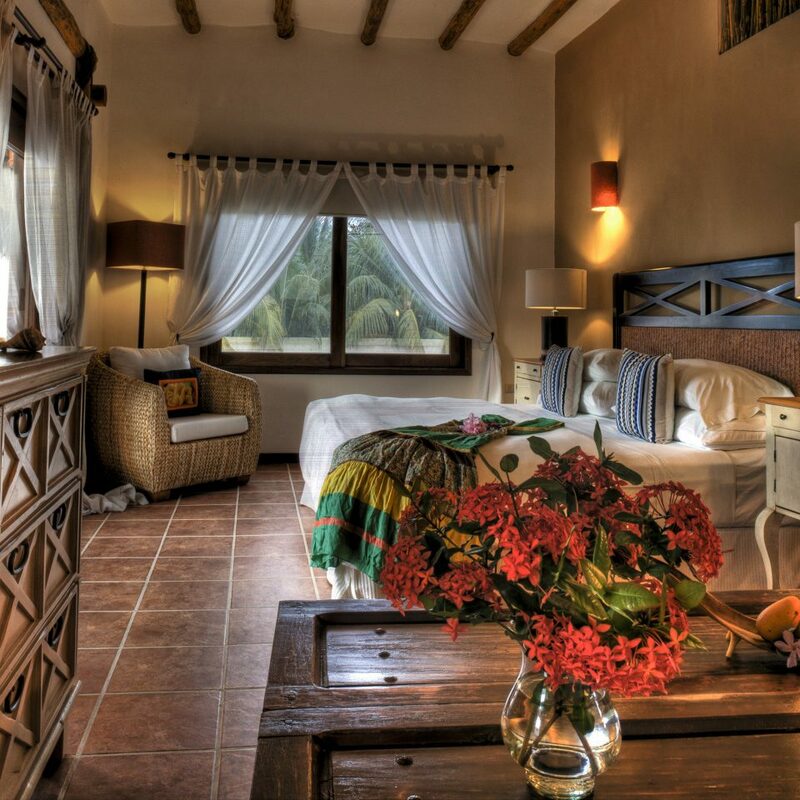 Rooms and suites are scattered throughout the main building and in casitas on the grounds. 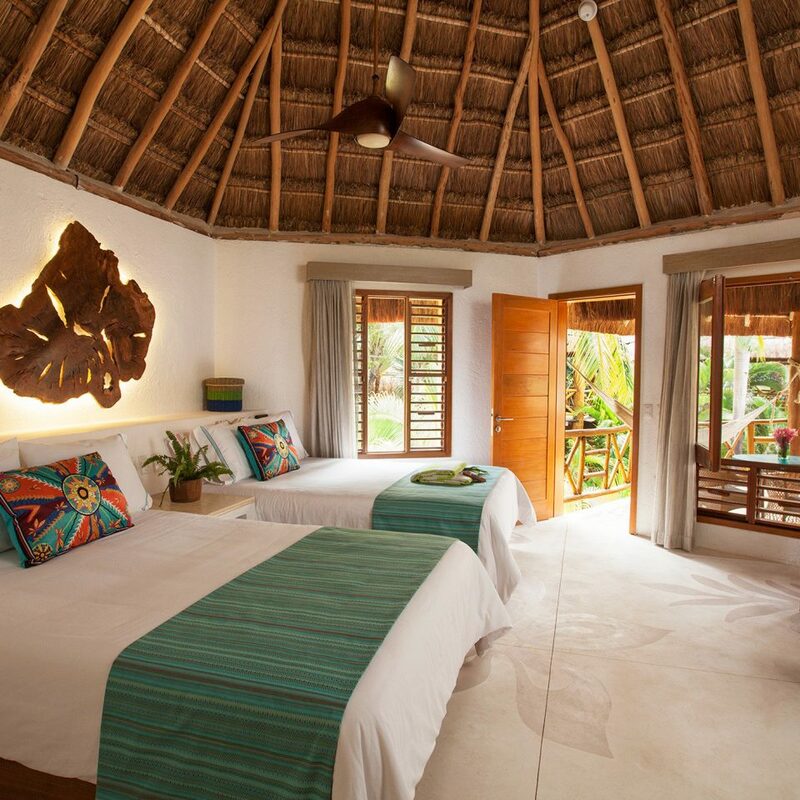 All feel spacious, with white walls, palapa roofs and beams, and kingsize beds dressed in 500-thread-count sheets. 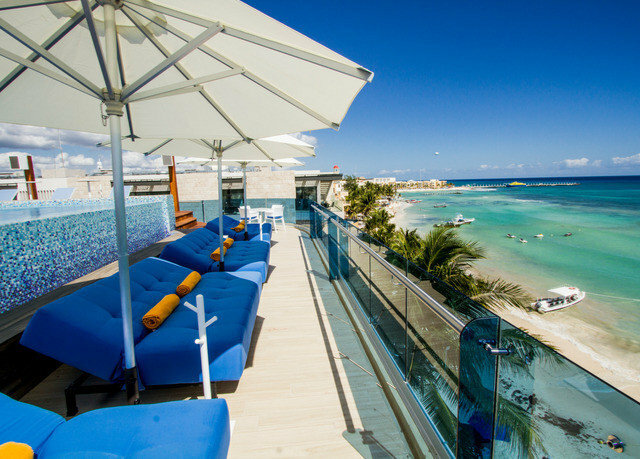 Each has a westward-facing balcony or terrace with bright hammocks from which to view the sun sinking into the turquoise Caribbean waters. Textiles hand-embroidered by an artist in Mexico City, conch shell showerheads and painted bowl sinks lend a sense of place. Bathrooms have organic bath amenities; book a suite if you’d like a tub. 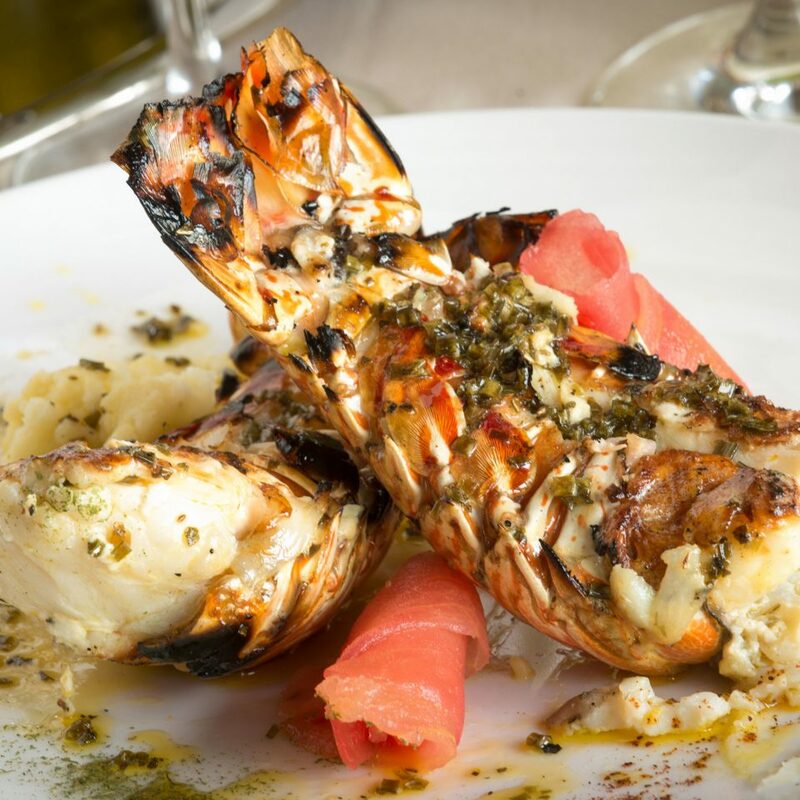 The gourmet restaurant and terrace sits at the heart of the hotel serving Mexican-Caribbean fare with a big emphasis on fish and seafood (think ceviche, shrimp and lobster tail). Drinks are on offer both here and at the Blue Lounge Pool Bar. Order a mojito and kick back to the cool tunes. Breakfasts are ample, with fruit salad, yogurt, cakes, granola and homemade breads and muffins alongside à la carte items such as huevos rancheros. 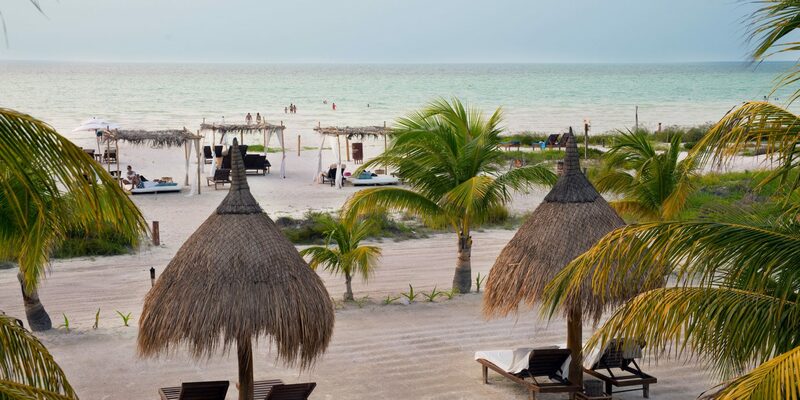 Holbox’s fine white sands invite relaxation. Swimming, kitesurfing and fishing (both deep sea and fly) are all popular pursuits, but whale sharks are the big draw. Harmless to humans, the huge creatures frequent these waters from May to September, and the brave can swim with these gentle giants. Mangroves and shallow lagoons host a great variety of birdlife, including flamingos, herons, cormorants, pelicans and ospreys. 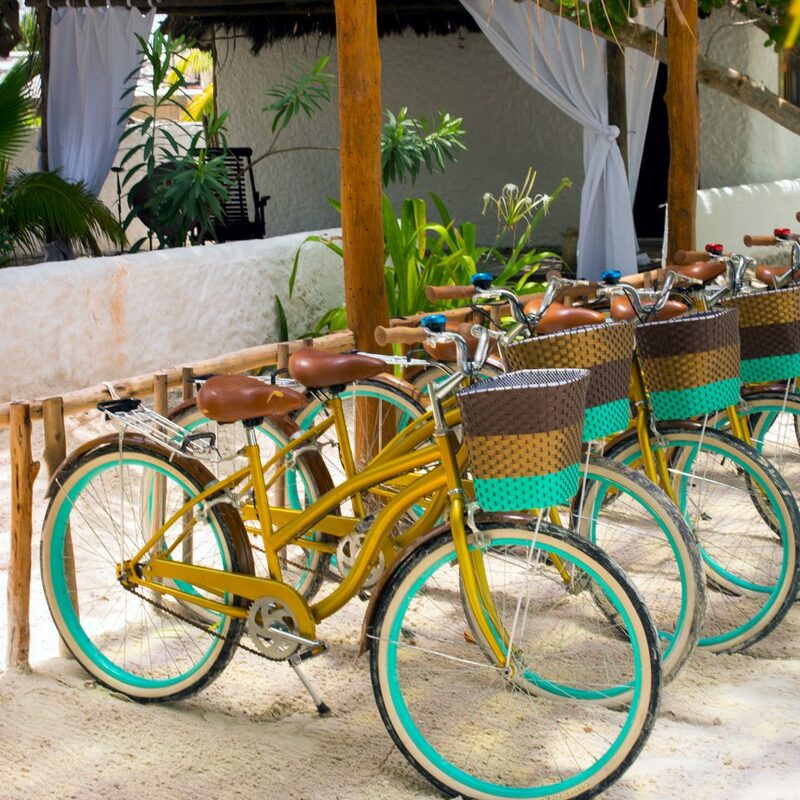 The nearly car-free small town is great for a stroll and small shack eateries such as the seafood-centric Zarabanda and Viva Zapata, which occasionally hosts live local music. 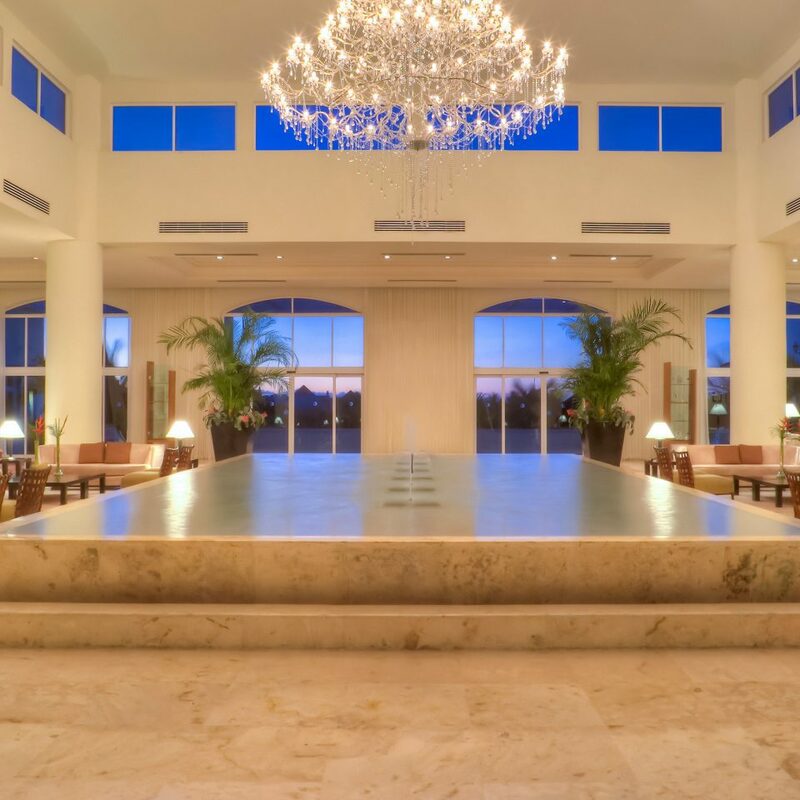 Charming Beachfront Luxury Hotel with Unbelievable Service. From the moment we stepped foot into Casa Sandra, I knew we had made the right choice. 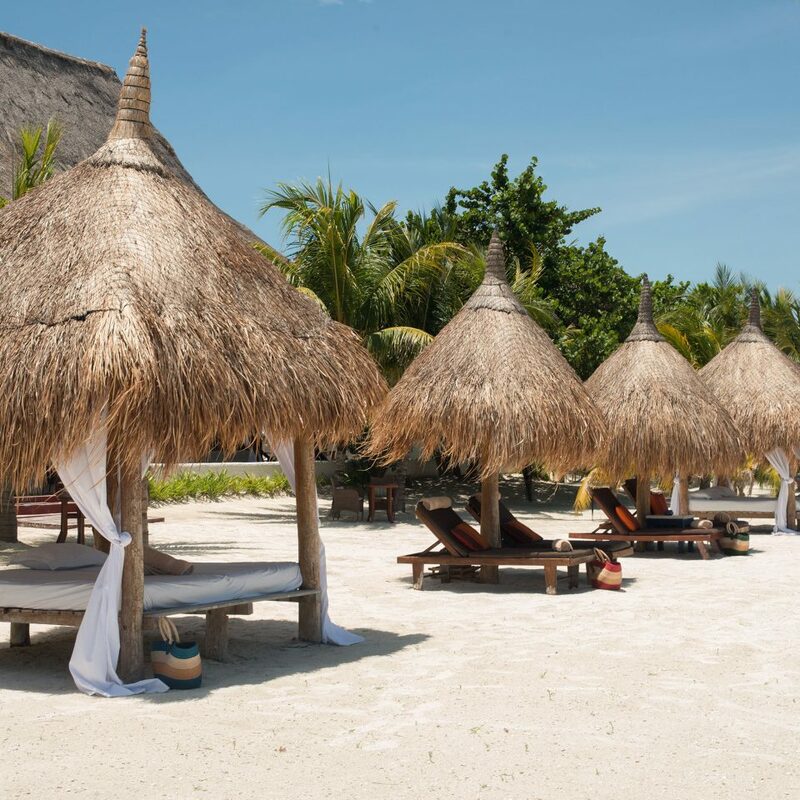 Aside from the beautiful beachfront views, the hotel itself was stunning, spotless and had a lot of charm - enchanting scents, exquisite artwork, whitewashed walls and rustic wood accents. Upon arrival, we were greeted with deliciously refreshing cucumber mint beverages by their wonderful staff, who ensured that the duration our stay was nothing short of memorable. Frederico, in particular, was incredibly warm, graceful, and accommodating. He went above and beyond our expectations with any questions we had regarding the hotel or the island itself. 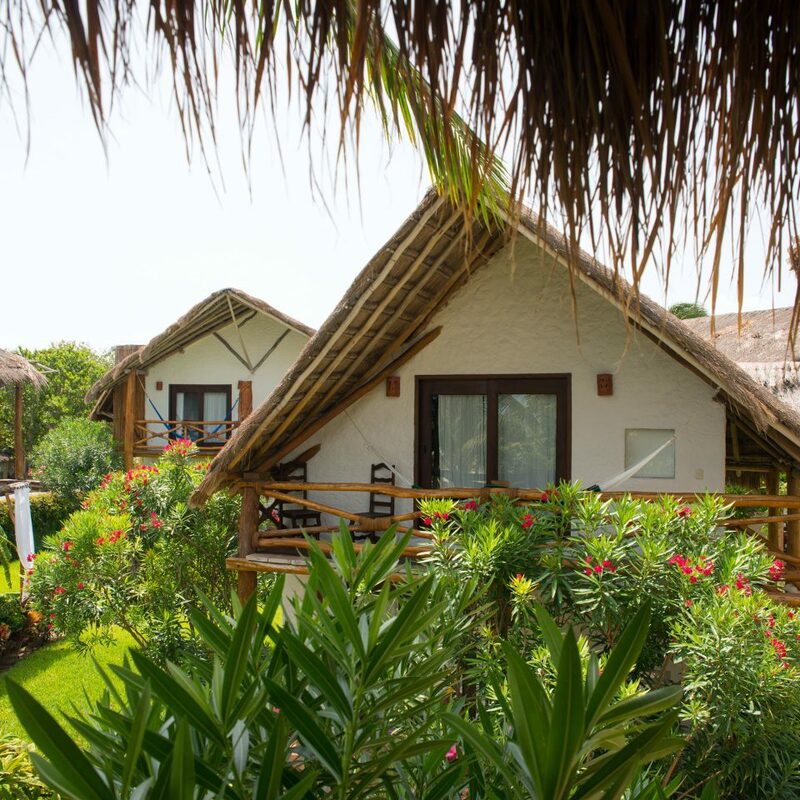 We were treated like family, and it certainly felt like home at Casa Sandra. 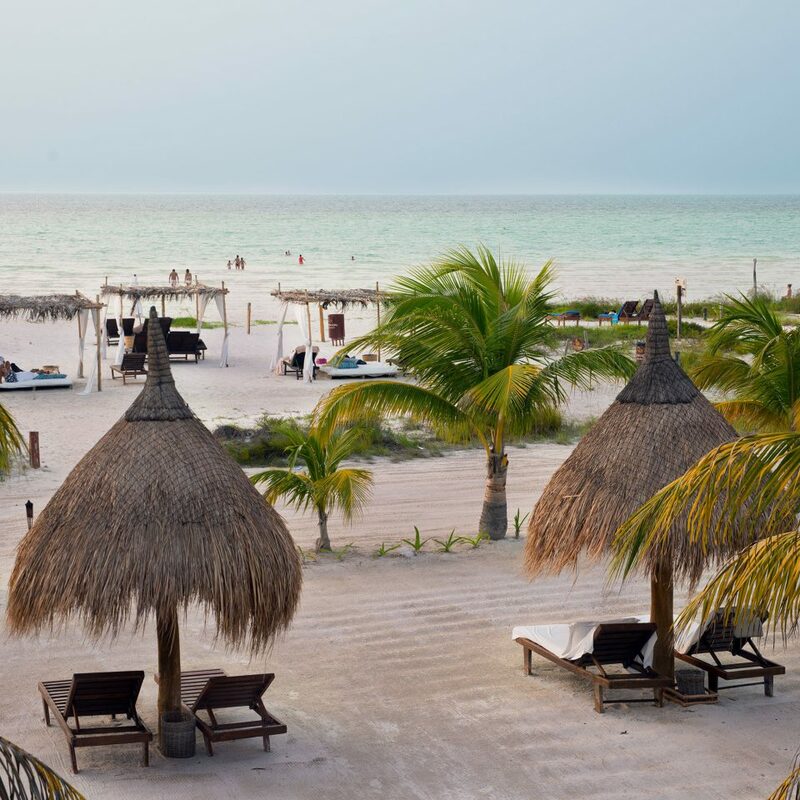 This property is breath taking and without question, the finest place to stay on Holbox Island. It’s designed with the heart of an artist. It’s an eligant mix of rustic chic and classic mid-century modern - with art taking centre stage everywhere. It feels like “home”. It’s spotless, whitewashed and wonderful. I was a solo female traveler, and the staff was extra attentive to my needs. Particularly Frederico. He provided the most helpful service with warmth, grace and efficiency. I booked my next stay, before I left. - Get there. stayed at a hotel nearby- visited for an aromatherapy massage. it was lovely- the masseuse was excellent. inside and out, the property is idyllic- beautiful, serene. 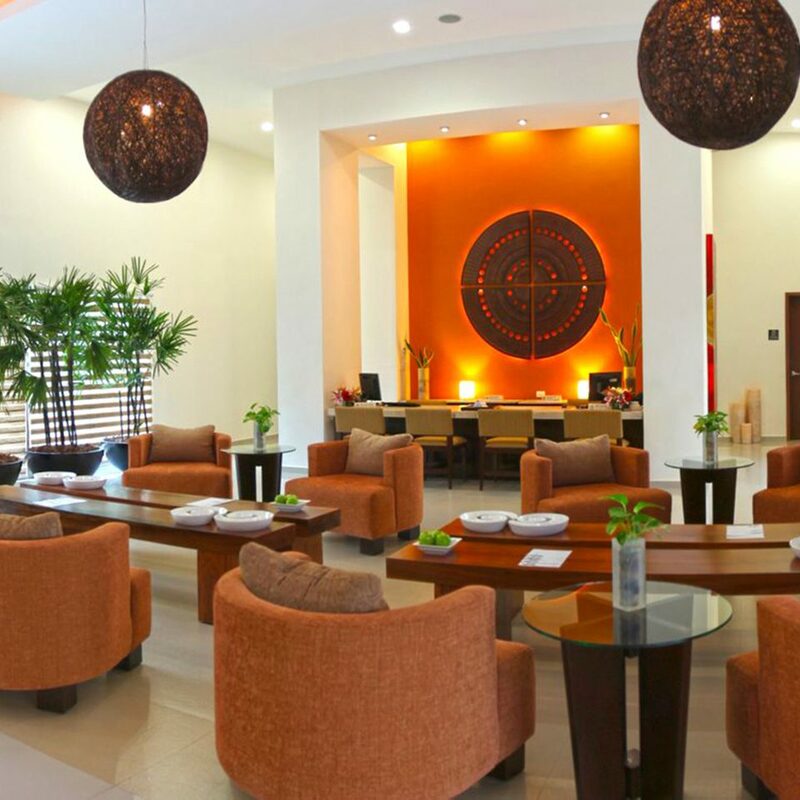 from their charming art-filled lobby that smelled heavenly to their exceptional & friendly staff, every interaction i had at Ser CasaSandra was delightful. 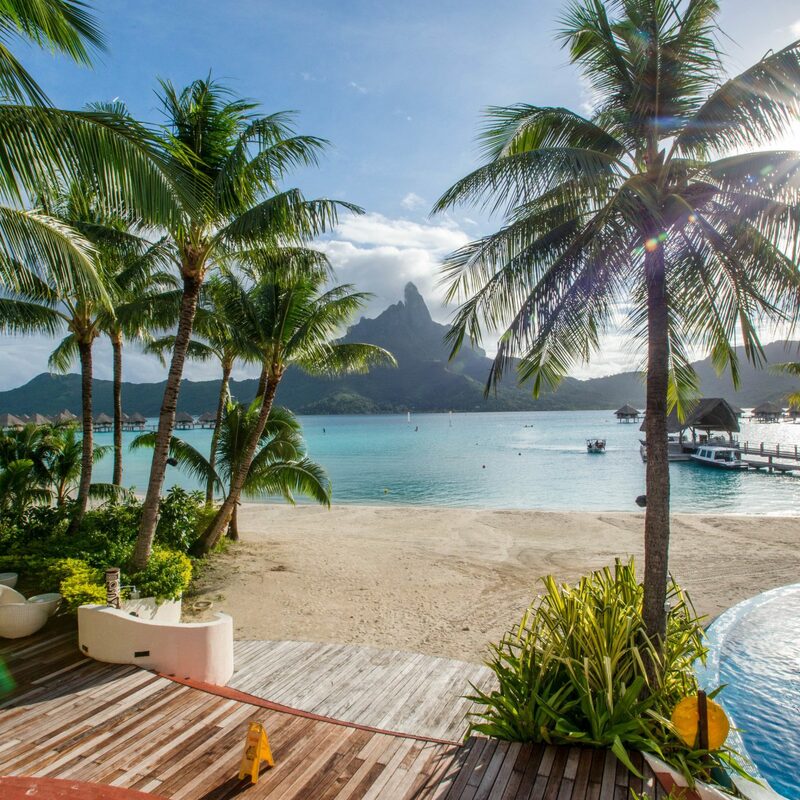 A place to disconnect and relax. From the moment of your arrival, they treat you like family. All the staff including Federico want to make sure you are having the most wonderful time. They are very accommodating and even made special meals and arrangements to prepare me for the CrossFit open workout 19.5 in Cancun. CrossFit Revolver. 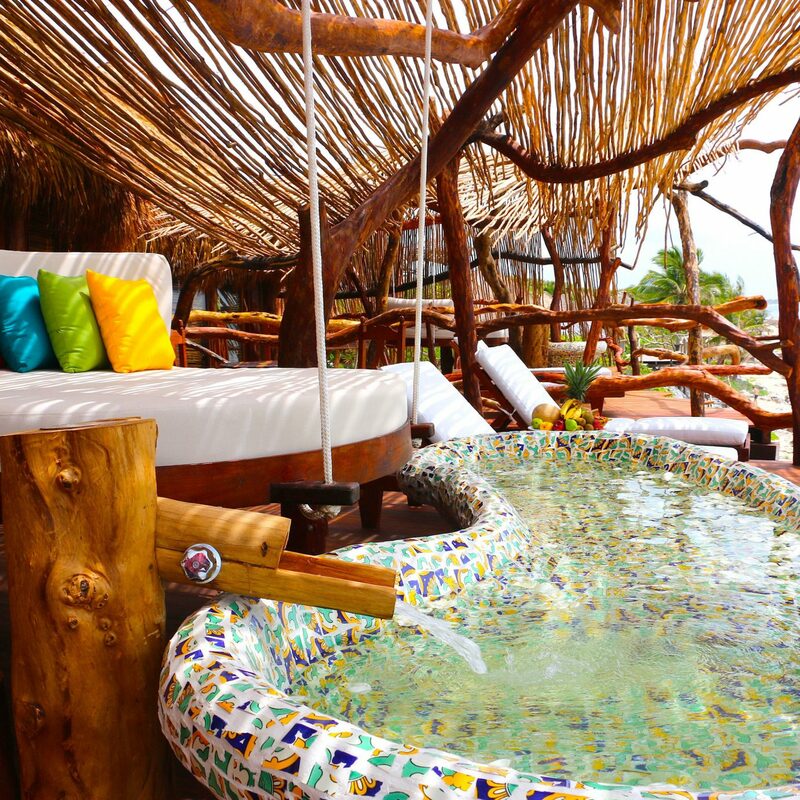 Casasandra is family, a little piece of heaven in Holbox. During my early morning workouts in the center of town where there are gymnastics bars Federico don’t how he saw me but brought me two bottles of water. 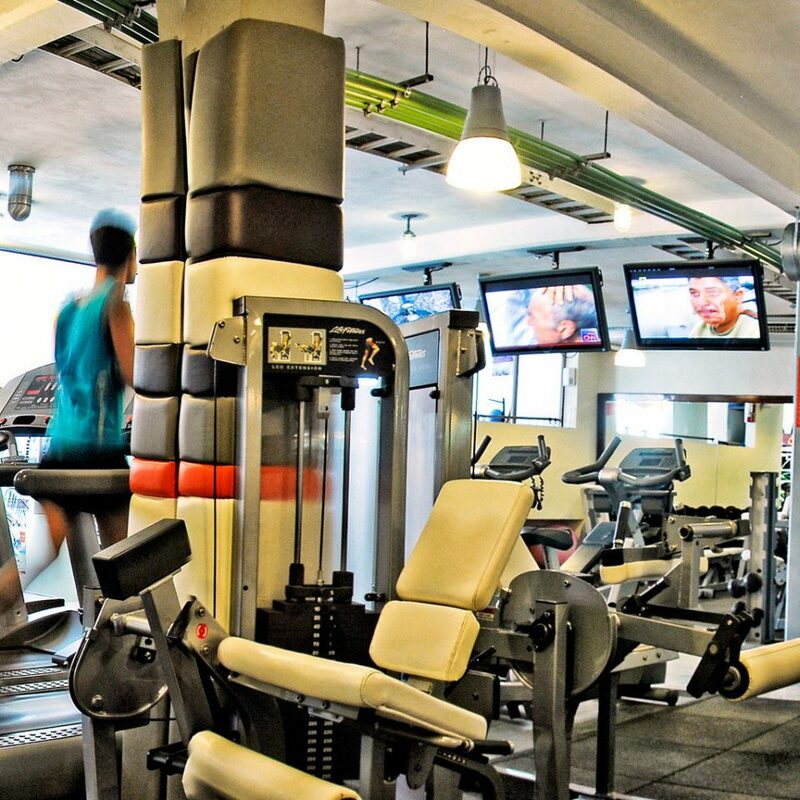 My days were spent working out and disconnecting from the hustle of NYC. We stayed in Room #5 which was nicely designed and a quiet corner room with a shared terrace. The food was especially delicious. Breakfast which is included was amazing. Fresh fruit, yogurt, homemade juices, and hot meal choices from the menu from eggs of your choice to classic Mexican breakfast dishes to pancakes. Make sure to have lunch on the beach, but watch out for the sneaky seagulls. My girlfriend of 14 years are low key and this vacation was about disconnecting, sleeping and enjoying the local life flip flops all day! Simple, quiet, romantic and Casasandra was a perfect spot. The beach was the best place on the island!! The beach staff (Carlos) cleans the beach everyday and the beach attendants are super accommodating. The tours they offer are great especially the Three Islands tour. They pick you up on the boat at the beach!! It’s private and make sure to get on the 8am boat and ask your guide to take you to Yalahau (Ojo de Agua) first, so you can enjoy it alone. Before the massive tour groups arrive. Definitely recommend this place if you want to disconnect. We loved ser Casa sandra from the minute we were greeted at the hotel. 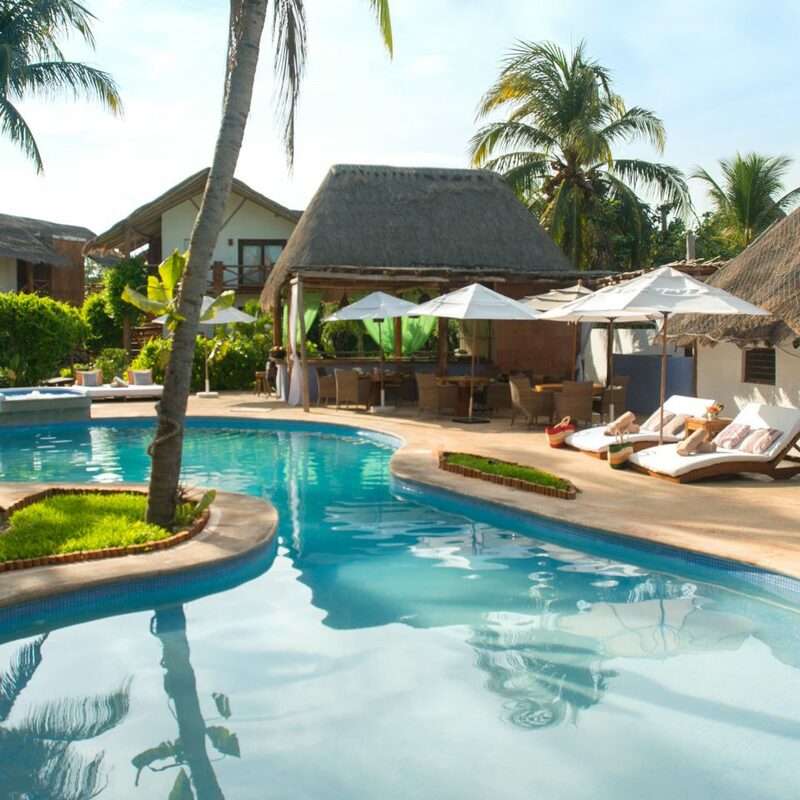 The staff was incredibly warm and hospitable, and the pool, restaurant, property are all gorgeous. We had the best food of the trip at casa sandra (especially at dinner), and enjoyed the breakfast spread as well! Very big fans of this hotel from top to bottom.